You are here: HomenextTopicsnextTransportnextThe Buses that came through Wickford. The date of the photographs would be in the early 1950s. 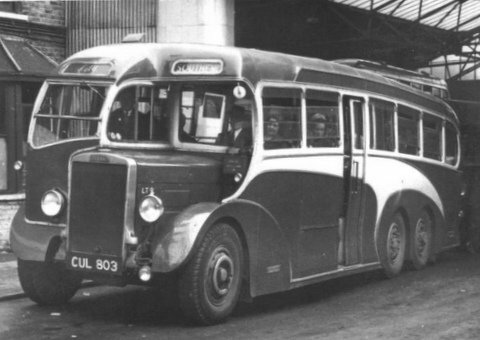 The City Coach Company ceased to exist in 1953 when they were taken over by Westcliffe on Sea Services and nationalised. Unfortunately none of these pictures were taken in Wickford. The 4 photographs were taken 2 at the London depot and 2 en route to and from London. Two main routes served Wickford, both stopping at the Castle Hotel and opposite. The main service London to Southend and return was at 15 minute intervals. A shorter service was between Shotgate Owl Cafe and Brentwood, which went via Ramsden, and ran at 30 minute intervals. I lived in Gidea Park and was a pupil at Brentwood School from 1945 until 1954. I had a great variety of public transport to choose for my journeys to and from school. From the top of my road (Crossways) I had LNER between Gidea Park and Brentwood and the London Transport route 247 (Scooter LTs) and from the bottom of the road, London Transport route 86, Eastern National, City coaches and Green Line route 721, once GreenLine services restarted after the war. 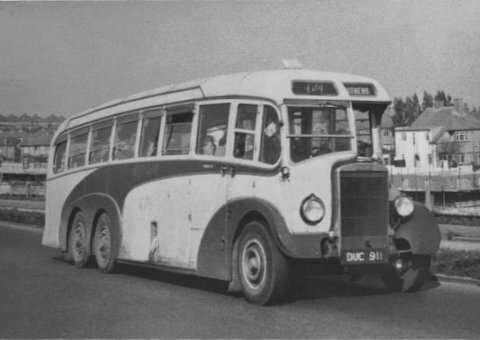 City coaches were my favourite with the sturdy LTs, the rare Gs and, later, the occasional LS. It was the modernisation of the LTs which interested me most. 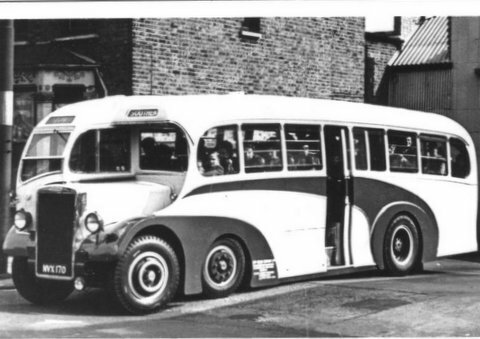 Initially, they just received an overhaul and repaint, but then I was delighted to travel on what I thought was a totally new bus, but which turned out to be the original LT1 chassis rebodied beautifully by Heaver of Durrington. It had a full fronted body strongly resembling the G class of Leyland gnus numbers 2 to 6. This one was soon followed by LT13 similarly bodied. More were to come, but later rebodied LTs had a half cab front rather than the full front. I understood that drivers found the full fronted cab either too hot or too fume filled (or both) I was deeply saddened when City were absorbed into Westcliff-on-Sea and the old City name and brown/cream livery was lost for ever. What a tragedy that no Gnu survived into preservation. A great icon of coach history was therefore lost. 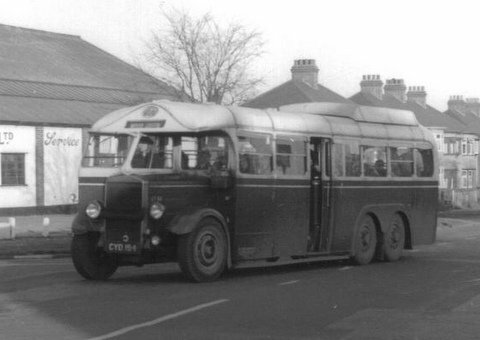 Just after the war we, mum, nanna and my sister would catch the City bus in London Road, by Louvaine Avenue, to Southend Terminus in Tyler Avenue. The first treat was at Rossi’s in the High Street, opposite Tyler Avenue, for ice cream, down the High Street towards the sea was a shop on the right, I think Brightwells, that had an overhead cash system. Money was put in a container, the assistant pulled a chain, and off it went to the cashier, and then the bill was returned, together with your change. From what I can remember some or all of the sea front was still closed off by barbed wire. Shopping over, before coming back to Wickford we would lunch in Offredies, or Offords as it was known during and after the war. I have fond memories of City Coaches. Had to run to catch them at The Bell, Walthamstow, en route to Newbury Park, then back next morning school at Walthamstow Tech. early 1950s. Still have couple of tickets, lovely coaches and buses,8rx. I also remember these buses as I used them to go from the King’s Head pub, Great Burstead, to Wickford Secondary School in about 1954, and well remember one day getting onto an old double decker of the city colours and am sure when I asked the conductor about it he stated it was a j31 model, not that it meant anything to me. Another time waiting opposite the pub during a winter with icy roads one of the twin rear wheel’s type tried to stop and skidded to a halt facing into Mill Road, just missing another bus heading towards Billericay. Can you remember the make of Sadds huge open backed flat fronted green lorry, was it a Foden or an Albion ? It was the only vehicle that could get up Carlton Road when it was muddy and flooded in winter. I remember coming home from school when another pupil swung a school satchel at me and I stepped off the path just as 6 wheeled City Bus went by and it went over my toes. Luckily my father was working in John Sadds the then builders merchants in Jersey Gardens, he made me soak my feet in cold water and then took me home, the bruise came out later.